Dr. Jason R. DuBois was born and raised on the east coast in northern New Jersey. He did his undergraduate studies at Brigham Young University in Provo, UT and graduated in 2005 with a Bachelor of Science degree in Exercise Science. Following graduation, he continued his chiropractic studies at Western States Chiropractic (now the University of Western States) in October, 2005. UWS is the leading evidence-based chiropractic school in the country. Dr. DuBois graduated in December, 2008 with a Doctorate of Chiropractic. Shortly after graduating, Dr. DuBois began working in Rupert, Idaho in January of 2009 as an independent contractor in the office of Olsen Chiropractic. After 2 years, the opportunity to purchase the practice was offered to him. 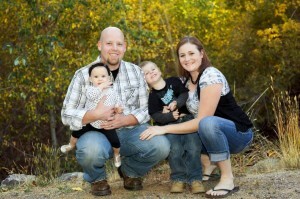 Minidoka Family Chiropractic has been in business since April 2011 and each year gets better and better. When he’s not in the office, Dr. DuBois likes to spend time with his growing family. His wife and now 3 children keep him busy and on his toes. He loves to spend time outdoors whether it is camping up in the mountains or playing golf. Living in Idaho has definitely been a transition from being raised in the east coast, but it truly has been a blessing. Minidoka Family Chiropractic is proud to serve the people here in the Mini-Cassia area. © 2014 Minidoka Family Chiropractic. All rights reserved.